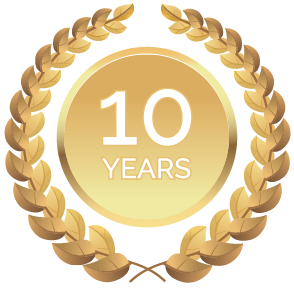 This voyage starts from Ottawa on a special charter flight. The voyage ends with a charter flight to Ottawa. 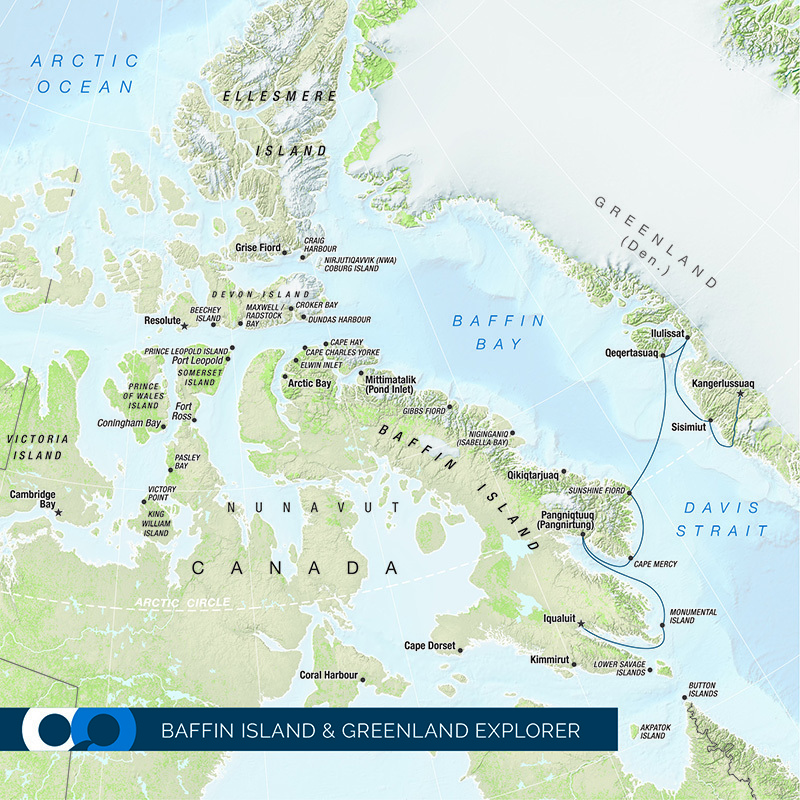 Explore Canada's wild and remote Baffin Island and the glaciated western coast of Western Greenland. We depart Ottawa this morning on our scheduled flight to Iqaluit, Nunavut, on Baffin Island. Upon arrival into Iqaluit we take a walking tour of the town and board our expedition ship, in the afternoon. 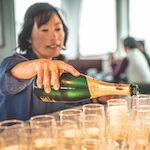 After settling into our cabins and exploring the ship, we enjoy a welcome cocktail and cast off, setting sail for the remote Canadian Arctic and West Greenland. If one word could sum up today’s experience it would be 'ice'. Even our expedition team members, with years spent exploring the Arctic and Antarctica, will take a moment to reflect on the awesome ice sculptures that surround the ship in all directions. 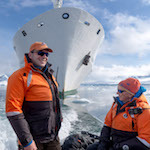 Truly one of the wonders of the world, the Jacobshavn Icefjord (a UNESCO World Heritage site) spews gigantic tabular icebergs out into Disko Bay. The glacier that creates these stunning monoliths advances at over 40 meters per day, around 50 cubic kilometers of ice annually! 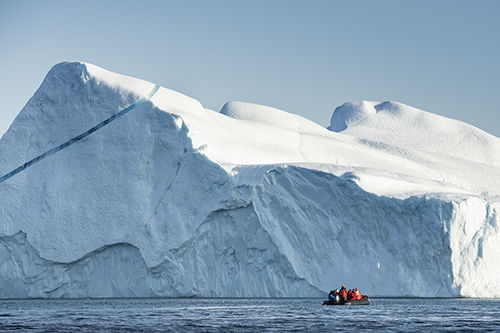 Our approach to Ilulissat is always dependent on the amount of ice in and around the mouth of the fjord. Our Captain and officers are skilled ice navigators and our ship has one of the highest ice ratings of any vessel exploring Arctic waters. We will explore the fjord behind the town of Sisimiut before going ashore to explore. 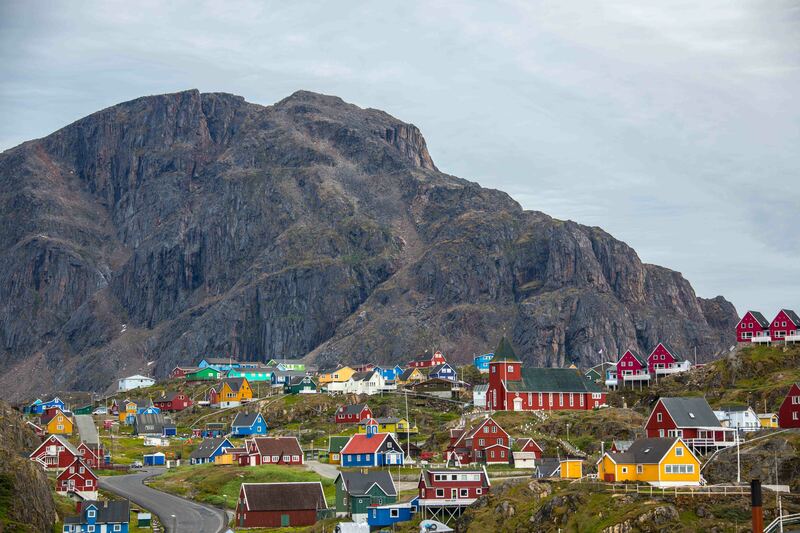 Characterised by colorful local houses, the town's backdrop is a towering granite peak. 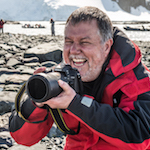 We hope to meet a few of the traditional Greenlandic kayakers and to see a demonstration of ‘Eskimo rolling’ by one of the former Greenland kayak champions. A small museum is another interesting diversion, as is walking around town with your camera capturing the picture-postcard setting. Today we sail into one of the longest fjords on the planet. Overlooking the fjord sits the town of Kangerlussuaq, a key outpost on the west coast of Greenland. 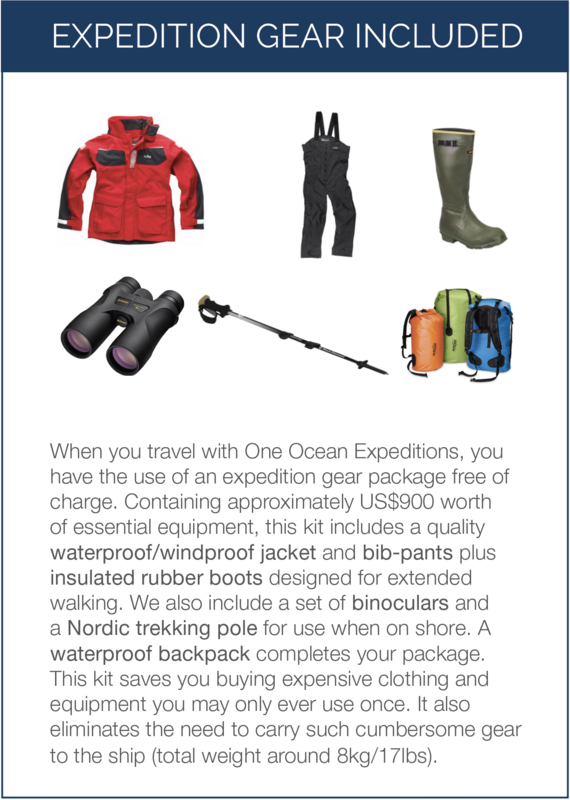 An exciting day lies ahead as expert guides take us to view and experience the vast expanse of the Greenland ice cap. 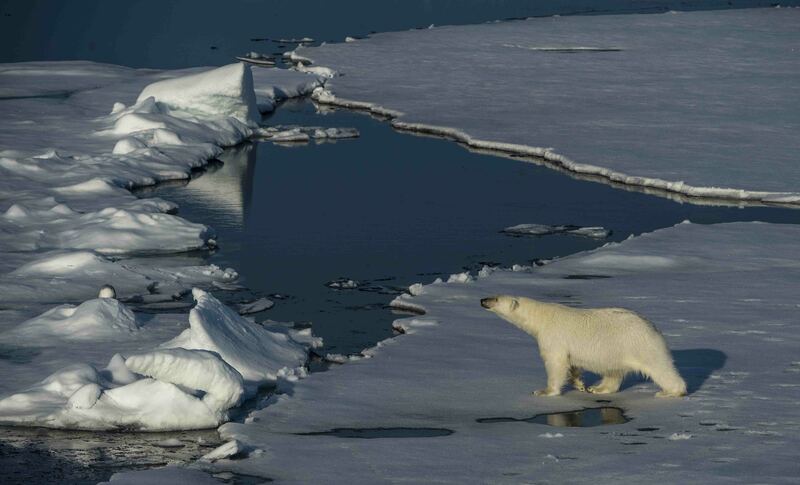 Covering roughly 80% of the surface of Greenland, the ice sheet measures approximately 1.7 million square kilometers. It’s the second largest ice sheet on earth, second only to continental Antarctica. 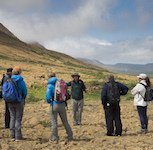 Our trip takes us through fabulous scenery and there’s a good chance of seeing muskox, reindeer and local birdlife. 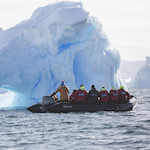 Our expert local guides will take us walking on the actual ice cap - a huge thrill for many of us. Later this afternoon, we return to the ship and tonight our chefs will have prepared a special farewell dinner attended by the ship’s Captain. 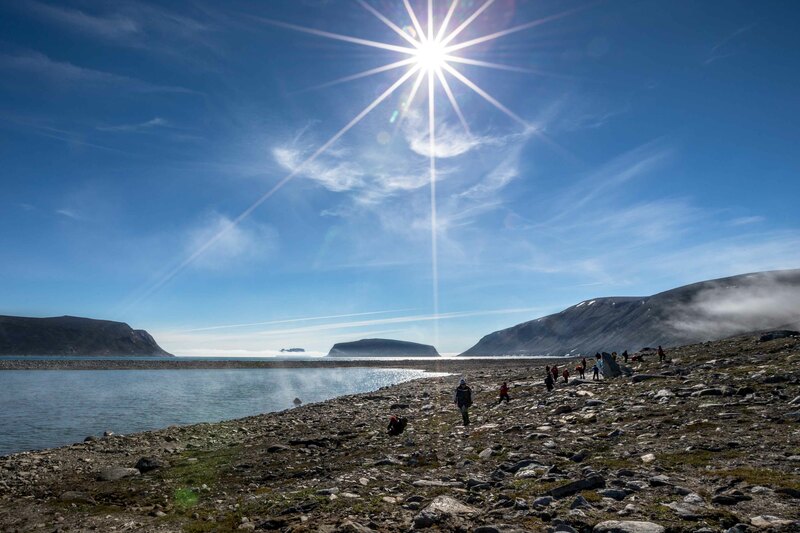 It’s a wonderful time to celebrate and reflect on a remarkable journey through the heart of the Arctic. 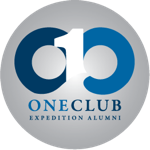 *This voyage starts from Ottawa on a special charter flight. The voyage ends with a charter flight to Ottawa.